Yesterday, I was sitting inside the house when I noticed a bunch of ducks crossing the cul-de-sac. When they walked to the bottom of our driveway, I went downstairs to the porch where my mom and dad were enjoying the warm weather. 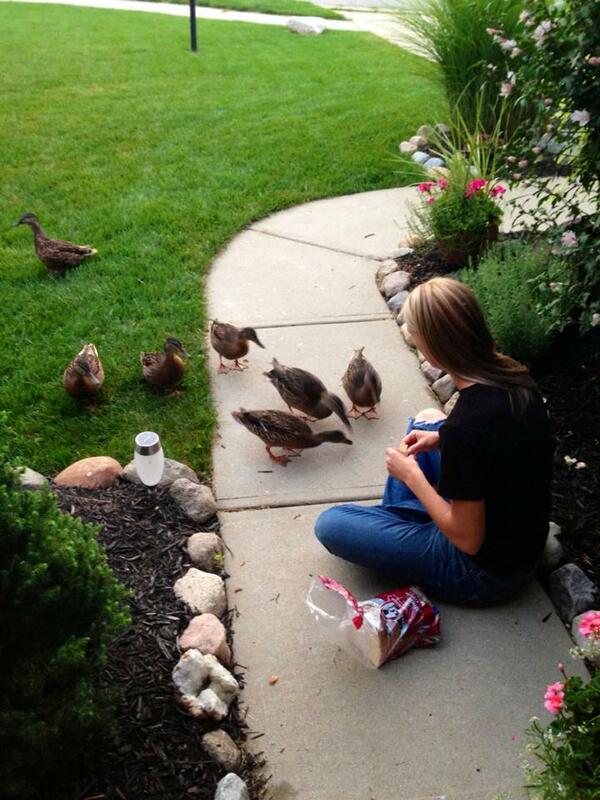 Next thing we knew, there were seven ducks standing in front of our porch. My mom immediately ran to get the bread and call my sister. 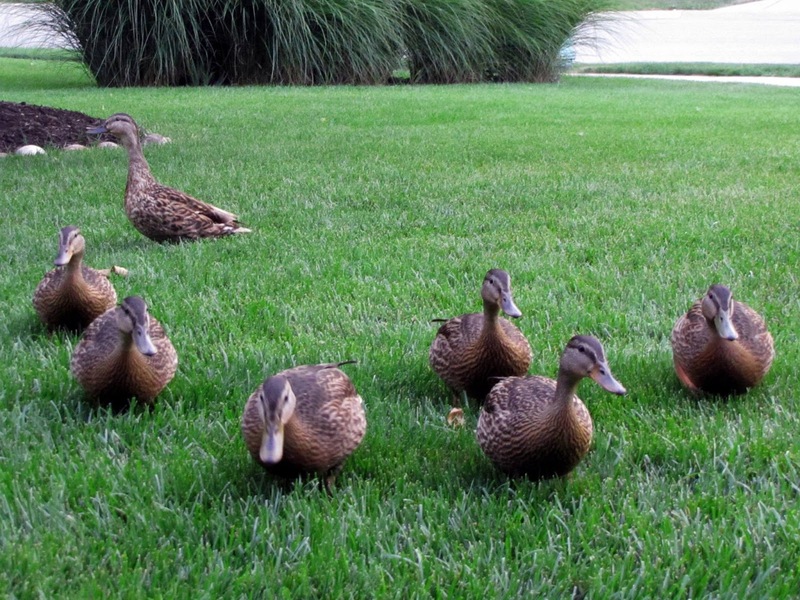 The ducks were so tame, it was clear that someone had given them a handout before. Two of them took bread directly out of my hand. You can see in the videos below. I posted a photo of my sister feeding the ducks on Reddit, and I was informed by a fellow Redditor that bread is one of the worst things you can feed ducks. I did a little research and found this article, which basically says feeding ducks bread can lead to malnutrition, overcrowding, pollution, diseases, pest attraction, and loss of natural behavior. It's better to give them grapes cut in half, cracked corn, barley, oats, birdseed or other grains. Since the ducks' arrival was so unexpected, bread was the first thing we grabbed. Now I know there are better alternatives. 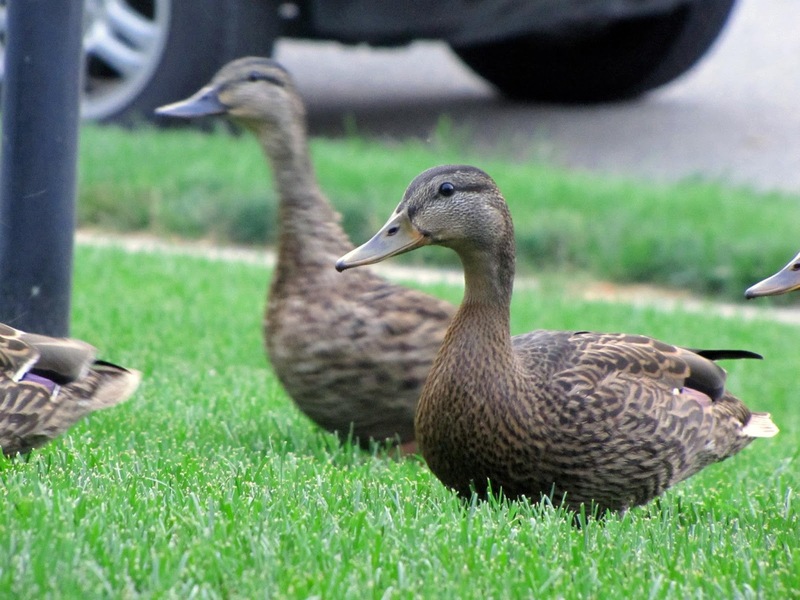 About two years ago, a mother duck laid eggs next to our porch, so part of me wonders if some or all of the ducks came back to their old home nest. I don't know the behavioral attributes of ducks, so I could be wrong, but it would be neat if they were the same ducks from a couple years ago.